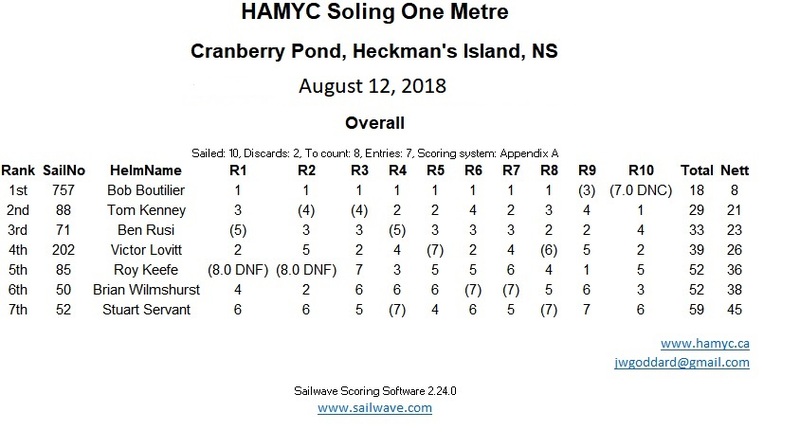 Our full day of racing started promptly at 10 am under the direction of RD John Lowther assisted by Deb Gibson with scoring, Silvia Goddard with food and drink, and Bill Fioratas who helped with everything from setup to pulling us up over the wall when we had to go walking in the pond. 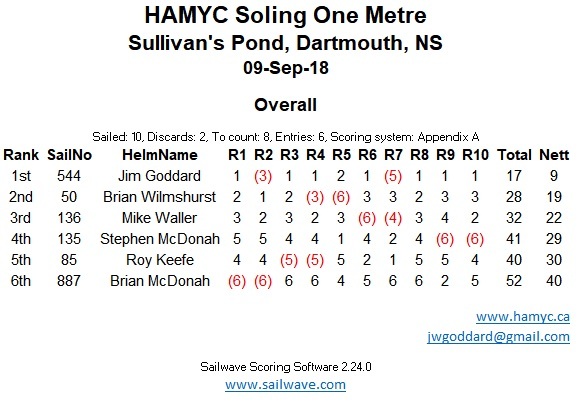 Jim Goddard won 5 races in the afternoon set to nail down the regatta win and Paul Switzer overcame a damaged rig that saw him out for two races to hold on to second. 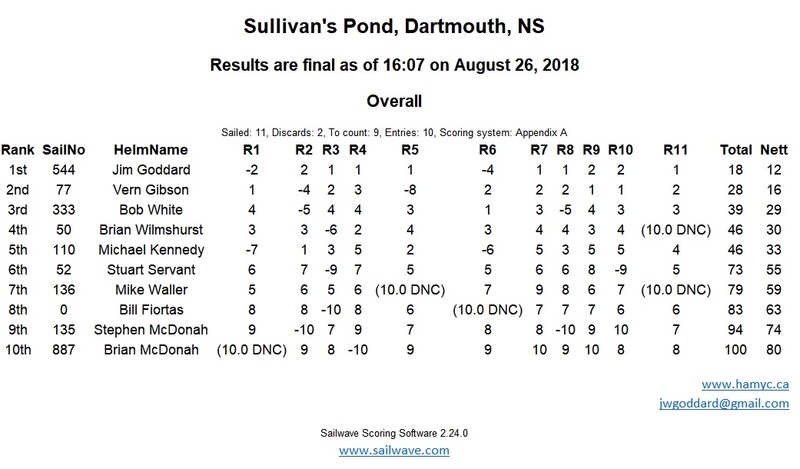 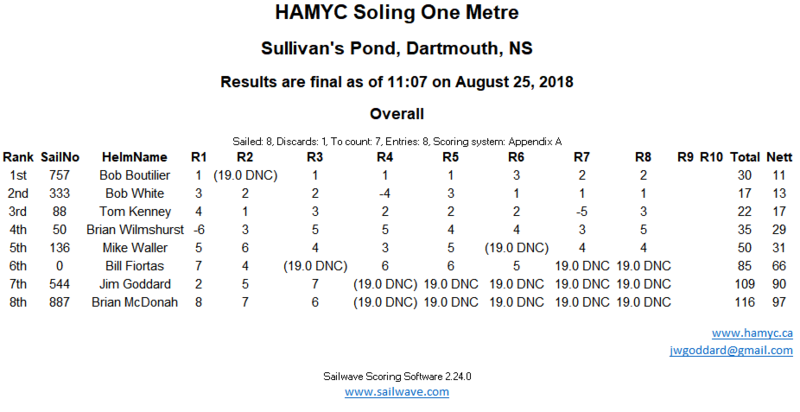 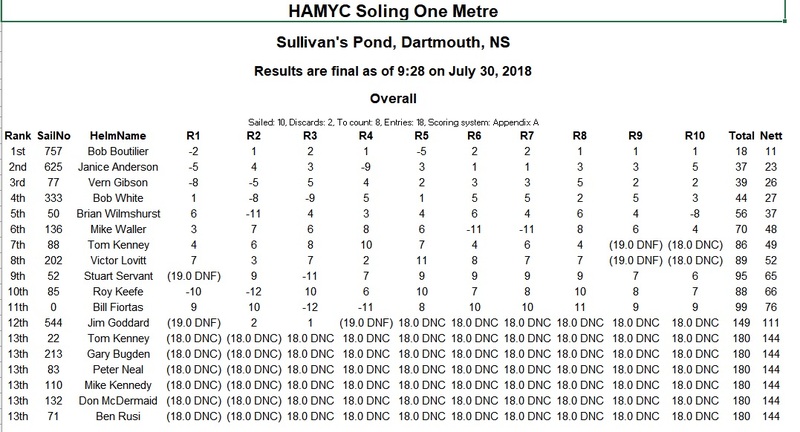 Don McDermaid from Nova Scotia made it on to the podium in third place, this is Don’s first hardware at the Soling 1M nationals – Congratulations. 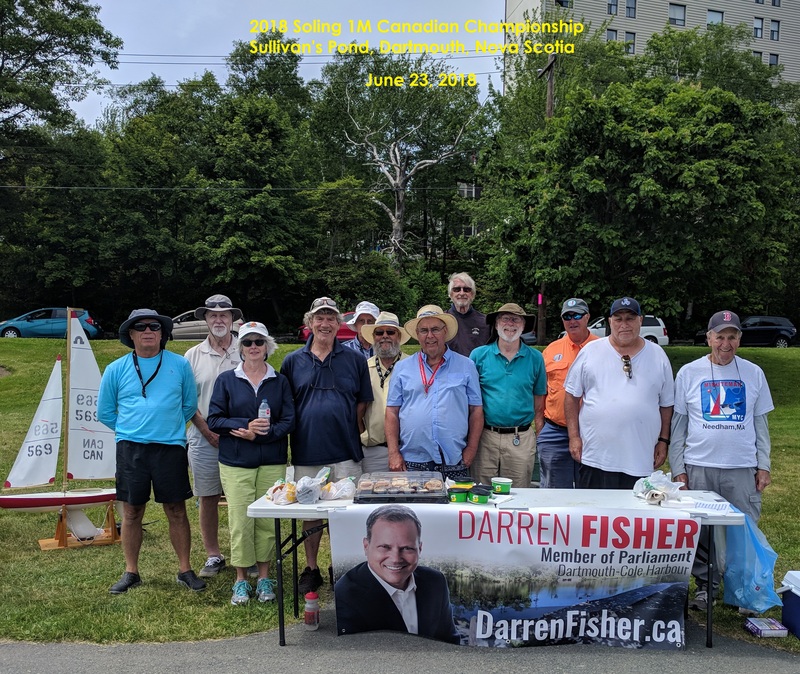 Thanks for your support to our advertisers, Darren Fisher, MP and sponsors Councillors Sam Austin and Tony Mancini. 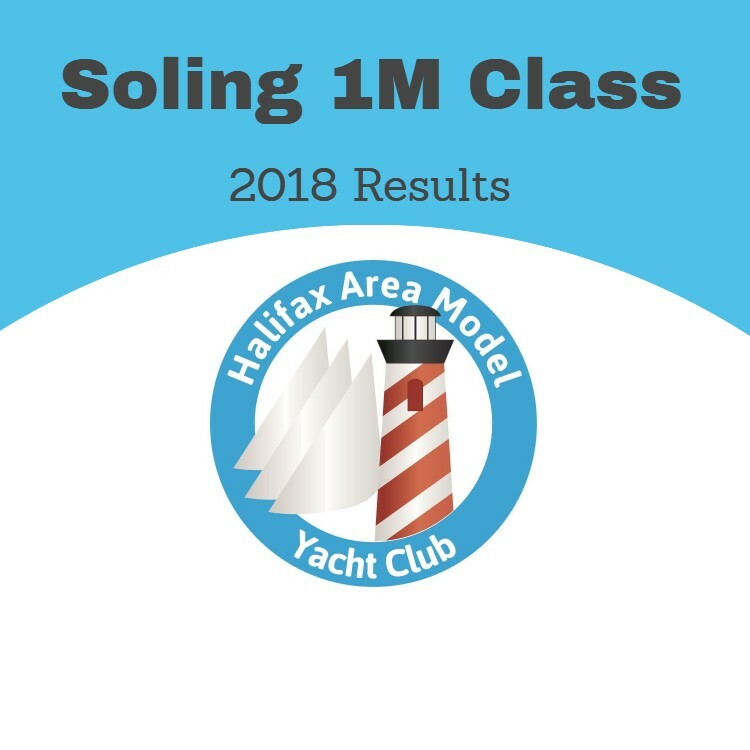 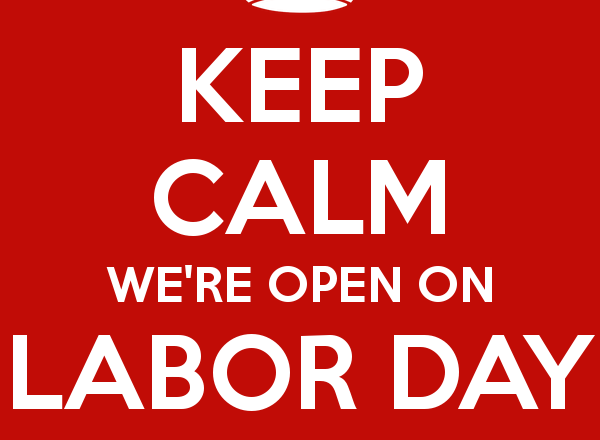 Your assistance in bringing this event to Dartmouth is greatly appreciated.